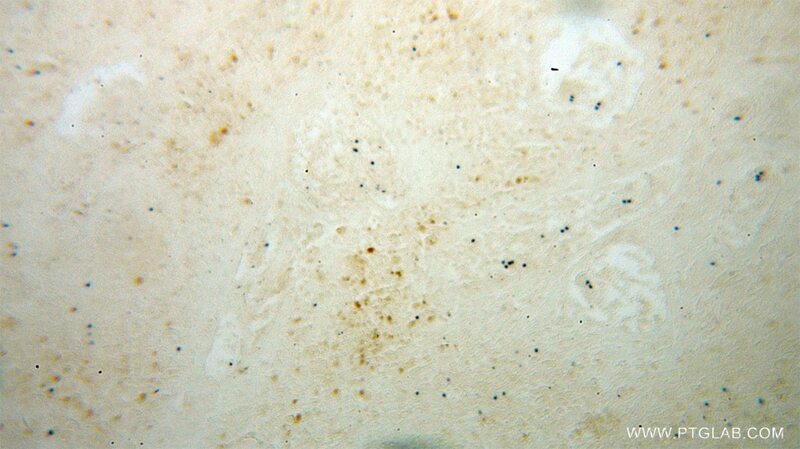 IP Result of anti-BIN1 (IP:14647-1-AP, 4ug; Detection:14647-1-AP 1:500) with mouse brain tissue lysate 3440ug. 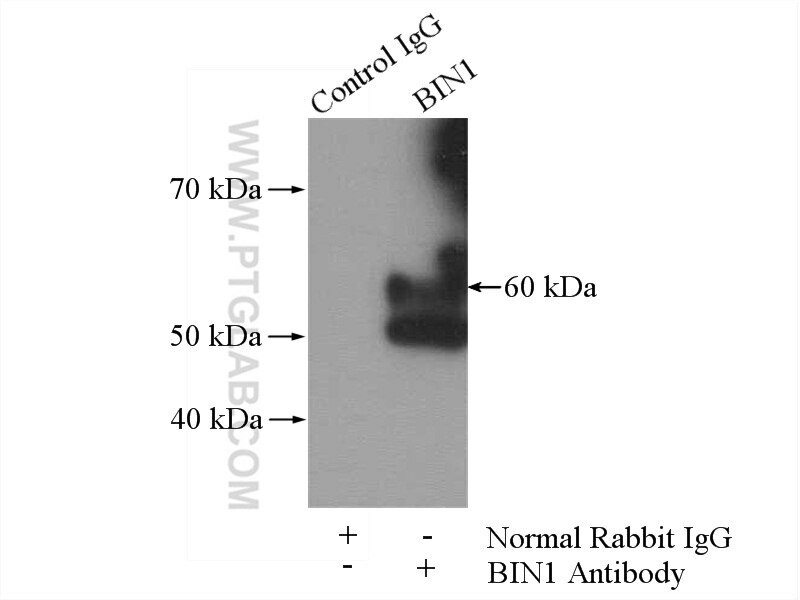 BIN1 (Bridging integrator 1), also known as amphiphysin II or Myc box-dependent-interacting protein 1, is a ubiquitous nucleocytoplasmic adaptor protein that was identified initially as an MYC-interacting proapoptotic tumor suppressor. Alternate splicing of the gene results in multiple transcript variants encoding different isoforms. BIN1 is a key regulator of different cellular functions, including endocytosis and membrane recycling, cytoskeleton regulation, DNA repair, cell cycle progression, and apoptosis (PMID: 24590001). Cooperation of MICAL-L1, syndapin2, and phosphatidic acid in tubular recycling endosome biogenesis. 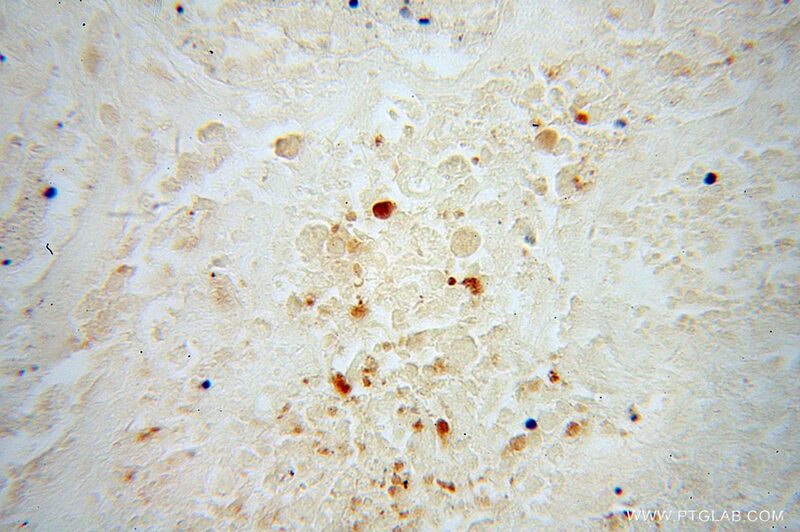 Reduction of the expression of the late-onset Alzheimer's disease (AD) risk-factor BIN1 does not affect amyloid pathology in an AD mouse model. Low expression of Bin1, along with high expression of IDO in tumor tissue and draining lymph nodes, are predictors of poor prognosis for esophageal squamous cell cancer patients.